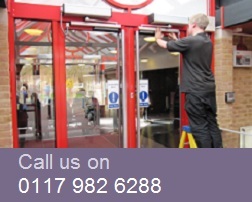 Avon Armour repairs and maintain automatic doors for a number of public and private sector clients in the greater Bristol area and also carry out work on behalf of national Facilities Management (FM) companies. We are also highly experienced in the repair and servicing of roller shutters, plus aluminium and timber manual doors. Please convey our thanks to your installation team for converting our entrance door to automatic operation. They were courteous and helpful to our residents and everyone is much happier that they no longer have to struggle with the heavy door. I have no hesitation in recommending you to others in similar circumstances.